As a nutritionist specialising in cancer my time is often spent investigating the work of those using alternative methods to treat this disease. So, had someone told me several months ago that I would be spending most of January observing the work carried out at the cancer clinic called the Paracelsus Clinik in Switzerland, I would not have believed them. But had they told me I would be there to help save my mother’s life as she faced a diagnosis of terminal cancer, I would have said they were mad! Life has a funny way of dishing out the unexpected and the challenge is to view such hurdles as positive learning experiences. Instinctively I have always felt that treatment of cancer (or any disease for that matter) should be about returning the body to its natural state of balance by addressing issues of the mind, body and spirit. Despite aving more knowledge and experience the methods used at other leading integrative cancer centres, in the end my search led to the Paracelsus Klinik where an approach based on the discipline of Biological Medicine came closest to matching my own treatment ideals. The Paracelsus Klinik, founded in 1958, situated in a beautiful part of North East Switzerland an hour away from Zurich. From the very beginning it has been a place where natural therapies are combined to form an holistic package to treat chronic disease. Over the years the clinic has developed considerably, particularly since Dr Thomas Rau joined as Chief Medical Director 12 years ago. 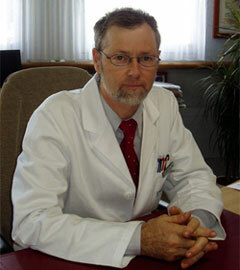 Dr Rau has a background in orthodox rheumatology but after becoming disillusioned with conventional medical techniques he spent many years studying different forms of natural medicine. He has skilfully drawn together ideas and methods from these various disciplines to create his own form of Biological Medicine. When he feels it is appropriate Dr Rau combines the Biological Medicine with certain orthodox practices, the result being a sophisticated, integrated medical model that has served to build a worldwide reputation for Dr Rau and the Paracelsus Clinic. The basic philosophy is simple and clearly expressed by the name: bio-logic - the logic of nature. Biological Medicine recognises that the human being is a part of, and reacts like everything else in nature and it seeks to awaken the healing powers that lie within us all through the use of natural methods and remedies. Biological Medicine has its roots in the German tradition of natural healing and is an expanded form of the naturopathic medicine commonly practised in Europe and the US. For its practitioners, a key area of focus is the internal milieu or biological terrain of their patients. In simple terms this is the extracellular fluid that cells are bathed in, a substance from which the cell draws all of its nutrients and to which cellular waste products are returned. The extracellular fluid also acts as a communications system between cells. Those practising Biological Medicine use many techniques, key ones being nutritional and detoxification therapies, to create a healthy environment for cells to flourish. If there is harmony at the level of the cell, the body’s smallest functional unit, there will be harmony throughout the tissues, the organs and the body as a whole. Another important concept is that of the regulatory capacity of the body or its ability to maintain a steady internal environment. In health we are able to adapt our inner processes with great efficiency, disease on the other hand represents a reduction in our ability to regulate ourselves. Toxic build-up is regarded as the main block to our regulatory capacity. What Happens At The Klinik? At the Paracelsus Klinik, where there are over eighty staff, Biological Medicine is practised in a comprehensive way with most disciplines of natural medicine utilised to cover all aspects of health. Members of staff include eight doctors plus nurses and natural health practitioners. In addition the clinic boasts an holistic dental suite, which is home to five dentists. The fact that there are almost as many dentists as doctors reflects the emphasis placed on the state of the teeth and gums and their impact on overall health. Detoxification has a large role to play in Biological Medicine, and at Paracelsus particular attention is given to mercury removal because of its recognised detrimental effect on health. This means that those arriving with amalgam fillings are advised to have them removed during their stay, a daunting prospect if you have a mouth full! The advantage however, is that dentists at the clinic use state-of -the-art equipment to ensure minimum Leakage of mercury into the body during the removal process. In addition powerful nutritional interventions mean that the any mercury that does leak (it cannot be avoided completely) is cleared from the system rapidly. The high-tech facilities provide an ongoing theme throughout the clinic. Some of the most impressive equipment is that used for diagnostic purposes. As part of the Biological Medicine approach a person first arriving at Paracelsus, regardless of their particular health problem, will undergo a series of in-depth investigations. The intention is to learn as much as possible about the individual’s makeup, rather than focusing on symptoms or the diagnosis, in order to uncover the root causes of disease. Procedures include dark field microscopy (provides an analysis of live blood), electro-dermal screening (measures electrical resistance at the acupressure points providing information on the energetic nature of the body), thermography (a measure of the body’s temperature control), biological terrain analysis (assessment of the conditions of the internal milieu such as pH) plus many others. Conventional diagnostic procedures such as ultrasound and x-ray may also be used. In my experience the fact that oncologists are unable to provide cancer patients with much insight regarding the causes of their disease can lead to stress as patients feel that their key healthcare provider actually has little understanding of the true nature of their illness. I imagined that at paracelsus, where the underlying factors of disease are scrutinised, patients would feel a sense of reassurance. This was verified many times as I spoke to cancer patients visiting the clinic. So apart from gaining greater understanding of the causes of their disease, what can patients expect to receive in the form of cancer treatment at this ’cancer clinic’? The Paracelsus Klinik is not a specialist cancer treatment centre and although the doctors are very experienced in treating this disease they are not specifically trained in oncology. In a way this matters little as this approach concentrates on addressing the underlying issues of cancer rather than focusing on the tumour which, after all, is just a symptom of a much larger process involving the whole body. For all patients treatment entails many forms of detoxification - through the skin by way of saunas, by clearing the bowel using colonic irrigation and more unusual techniques such as Matrix Regeneration Therapy (MRT), a special form of suction massage that helps to draw toxins from deep within the tissues. In treating cancer, a disease where the degree of degeneration is advanced, the cleansing process has to reach far into the body. But it does not stop there, for detoxification of the mind is just as important. At Paracelsus this is understood well and a skilled psychotherapist, a healer and a kinesiologist working with the emotions particularly, are on hand. Alongside toxin removal, attention is given to the replenishment of any essential elements the body may be lacking. For vitamins and minerals this occurs by way of suppLements but also infusions for the nutrients required in larger doses. Infusions are also given to boost the body’s oxygen levels as tissue deficiencies of this most vital of all elements is a problem in those with cancer To complete the treatment picture a number of techniques are employed with the specific aim of destroying the cancer cells. These include hyperthermia, a method of beating the body to temperatures reaching 40 degrees in an effort to kill heat-sensitive cancer cells and mistletoe injections. After observing the treatment work that is carried out at the Paracelsus Klinik, from the patient perspective and as a therapist, the word that springs to mind to sum up the experience is ’intense’. A packed schedule is handed to the patient on the day of arrival, and from then on for the rest of the stay (usually 3 weeks for a cancer patient) it is non-stop treatments, except at weekends. There are no facilities for staying at the clinic but buses run patients to and from nearby guesthouses. It is all highly organised but very exhausting for someone who is ill. One way that this situation could be improved would be if the centre had a few resting rooms with beds for brief naps between treatments. The one area I felt the treatment was lacking concerned the dietary advice given. As a nutritionist I know just what a difference a good diet can make to those recovering from cancer. At the Paracelsus Klinik it is apparent that the staff also feel diet is very important but the time devoted to relaying this message to the patient is disappointing. My mother and the other patients I spoke to spent between half an hour and forty five minutes with a nutritionist during the three week stay and judging by the conversations in the guesthouse kitchens at night this was not nearly enough. To finish on a positive note, Paracelsus, the outstanding physician the Middle Ages from whom the clinic takes its name, stated that "it is not the physician that heals but nature". It is apparent that Dr Rau and his team have found a way to work by this philosophy. Advanced medical knowledge and cutting edge techniques are applied in a manner that captures the true essence of healing and all of this takes place in an environment of total peace and tranquillity. The result is surely the clinic of the future. My mother went back to the Klinik in March and continues to make steady progress. Elizabeth Butler has speciaiised in providing nutritional support to those with cancer for the past five years. During this time she has worked with UK doctors leading the way in the field of alternative cancer treatment and completed a professional training course on the Gerson Therapy. She is currently completing her MSc in Nutritional Medicine at Surrey University.